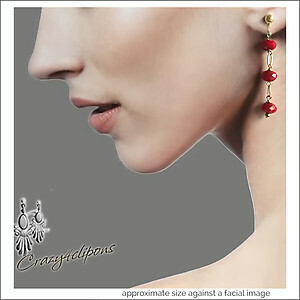 Features: Simple and understated, dainty handmade bright red faceted crystals resemble dangling cranberries. Beautifully complimented with textured gold plated matte connectors. 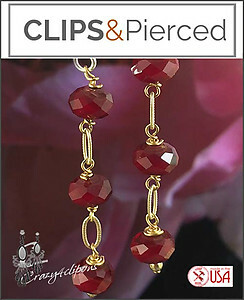 These will add a real splash of elegance and color to your Christmas and or Holiday outfits.